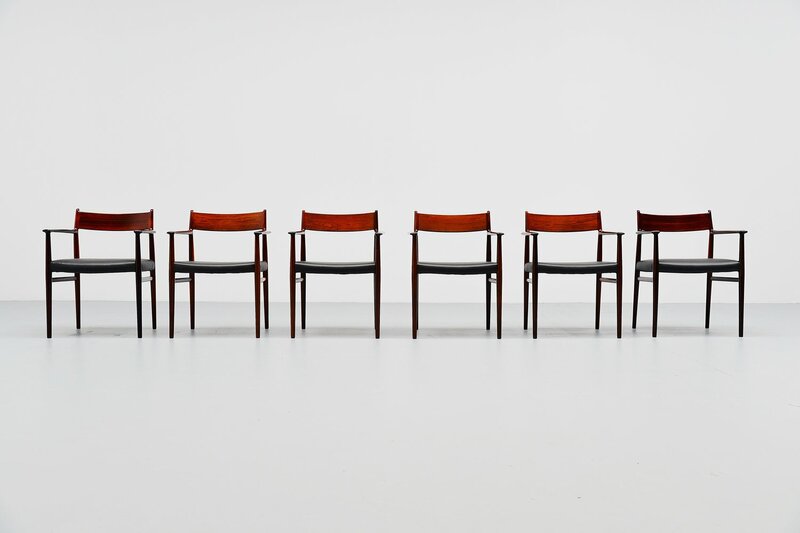 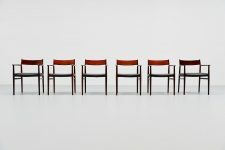 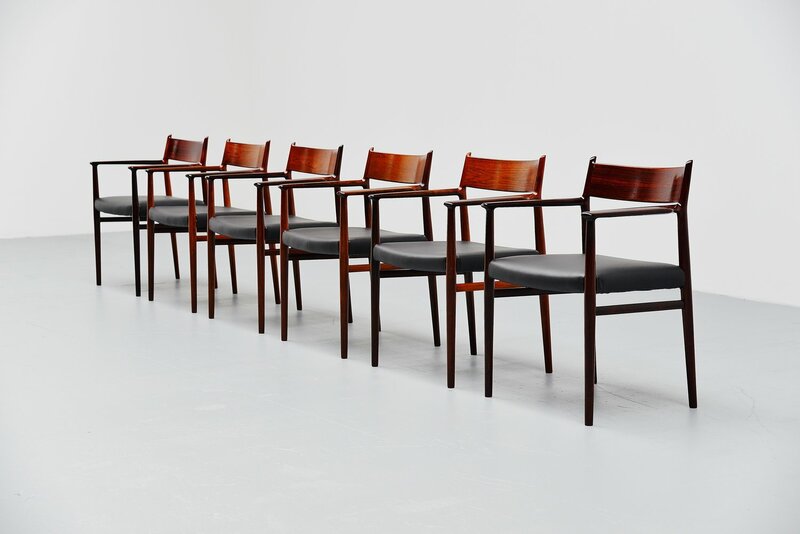 Nice set of 6 armchairs designed by Arne Vodder for Sibast Mobler, Denmark 1965. 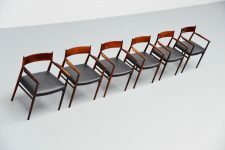 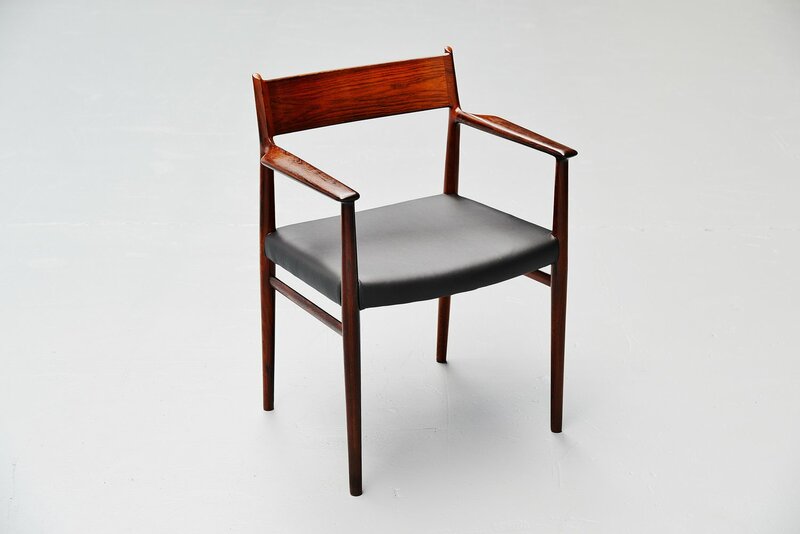 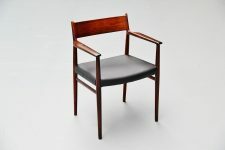 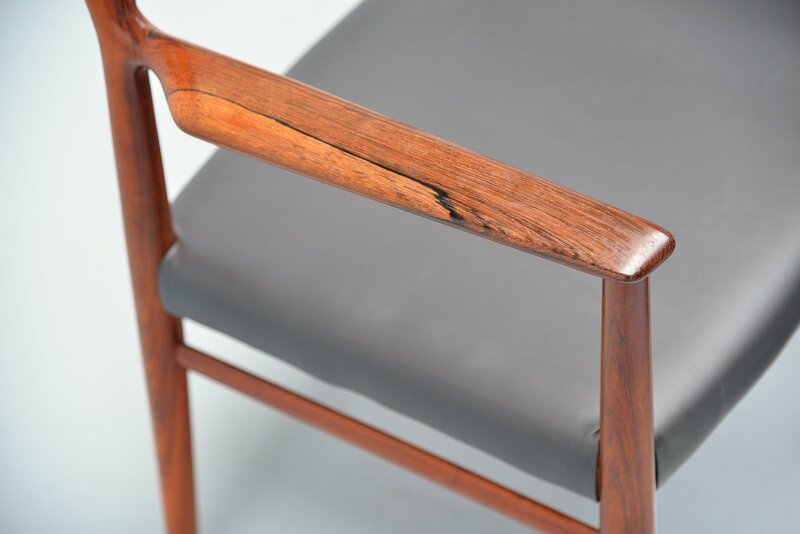 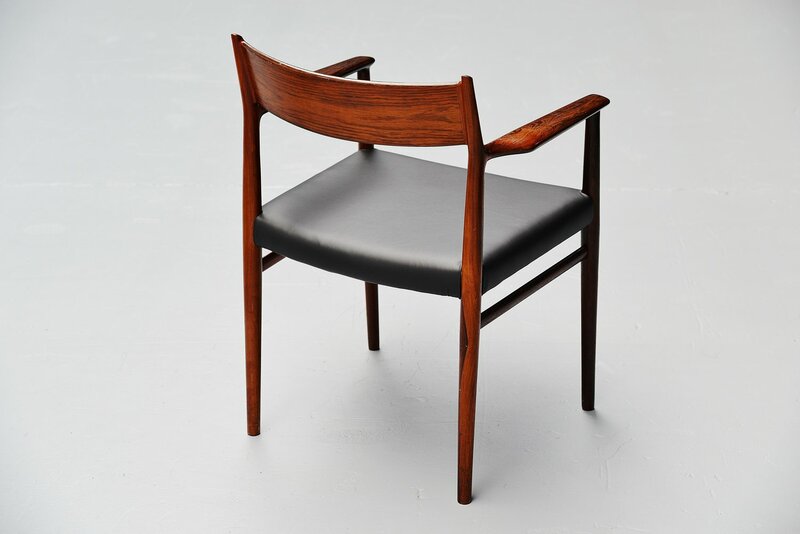 These chairs are made of solid rosewood and they are newly upholstered with high quality black leather from Hulshoff. 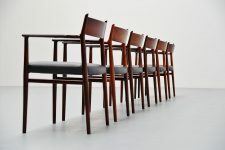 These chairs look amazing with the arms, highly refined chairs. 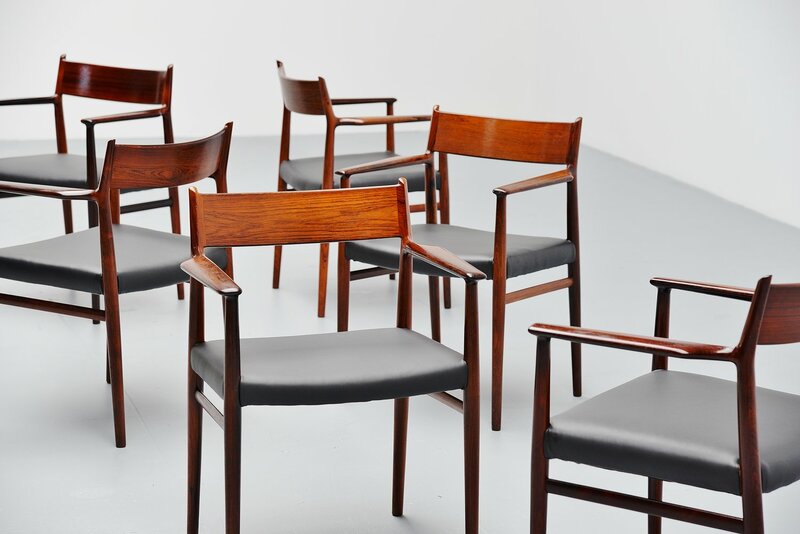 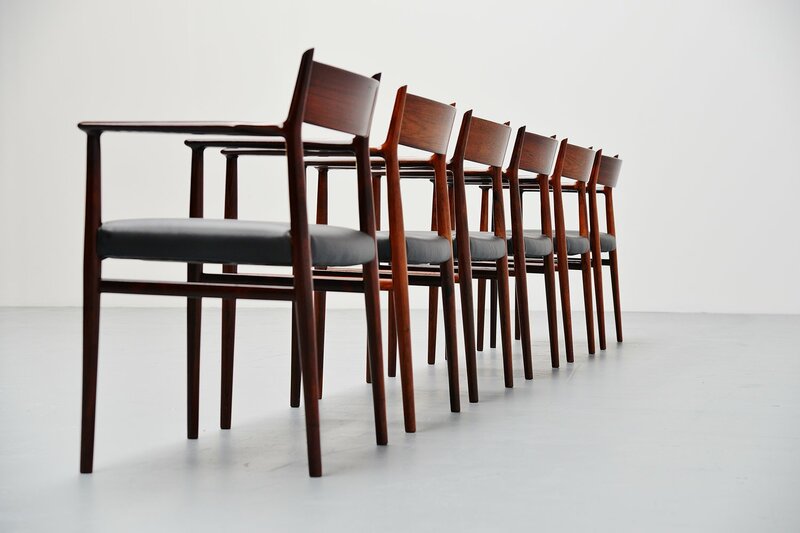 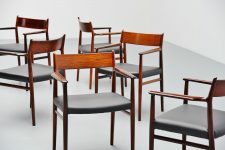 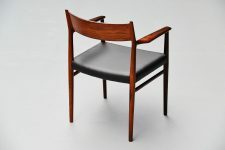 Arne Vodder was a real craftsman, visible in these chairs. 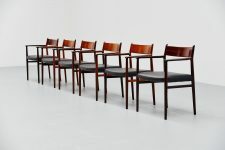 They would match perfect with the rectangular Arne Vodder table we have for sale.